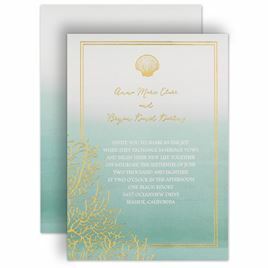 Coral wedding invitations are the beginning of an absolutely delightful wedding experience! The color coral reminds us of days at the beach, cotton candy at the state fair and walks in Grandma's flower garden. What a beautiful way to introduce your special day. 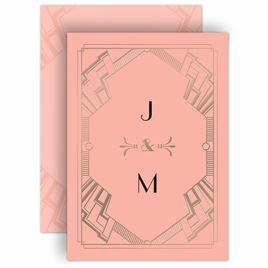 We offer many other shades of pink wedding invitations as well. Browse the entire selection and find the right match for your wedding colors.